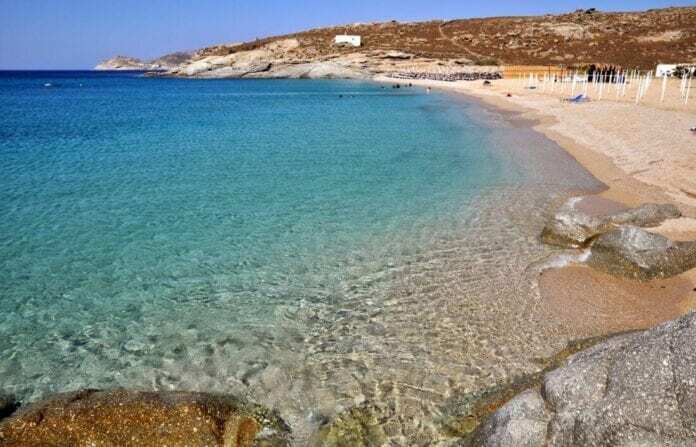 Lia Beach Mykonos: Lia is one of the most beautiful beaches in Mykonos with exotic waters and great environment. 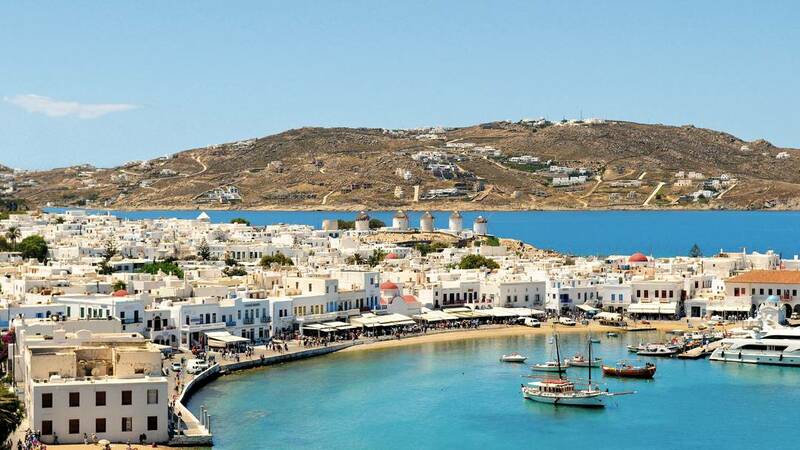 It is located in the south eastern edge of the island, 14 km from Chora, near Kalafatis. It is one of the last stops with the boat that goes from Chora to the beaches of the island. Lia beach is the last of the southern beaches that you can go by car. The road is long and hard, but its beauty will compensate you. Lia beach is well organized with colorful umbrellas, sundecks and other useful facilities. Even though it is considered a rather quiet beach for the standards of Mykonos, The beach has been a favorite place for this reason. Its blue waters and the white sand create the ultimate combination for a swimming paradise. The beach is surrounded by rocks making it a great spot for diving and snorkeling. The beach is easily reachable if you pass from Ano Mera and then follow the signs. 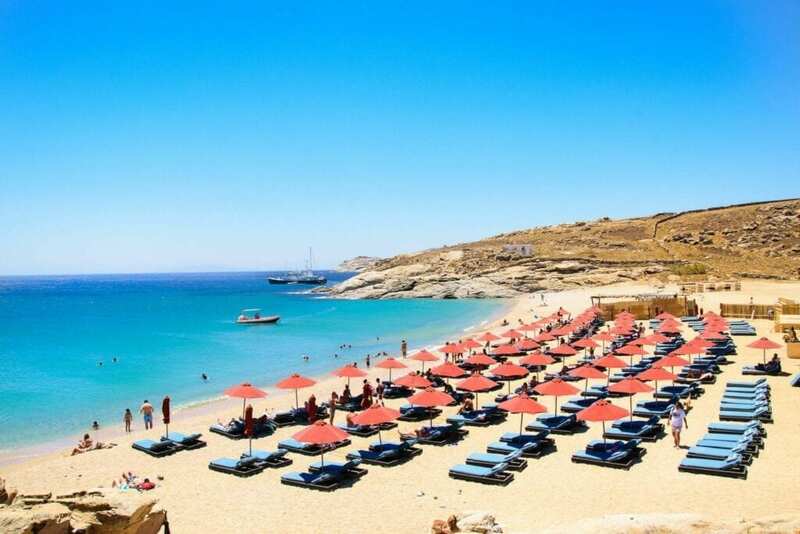 Mykonos recommended hotels near Lia beach: Villa Nautilia, Bella Alba, VLIA Myconian Residences, THA-LIA Studios and more. There are two restaurants nearby and a beach bar with various snacks and drinks. The hills that surround the beach are mostly bare and the natural landscape gives you the feeling of total freedom. You can also find various accommodations in the area of Lia.